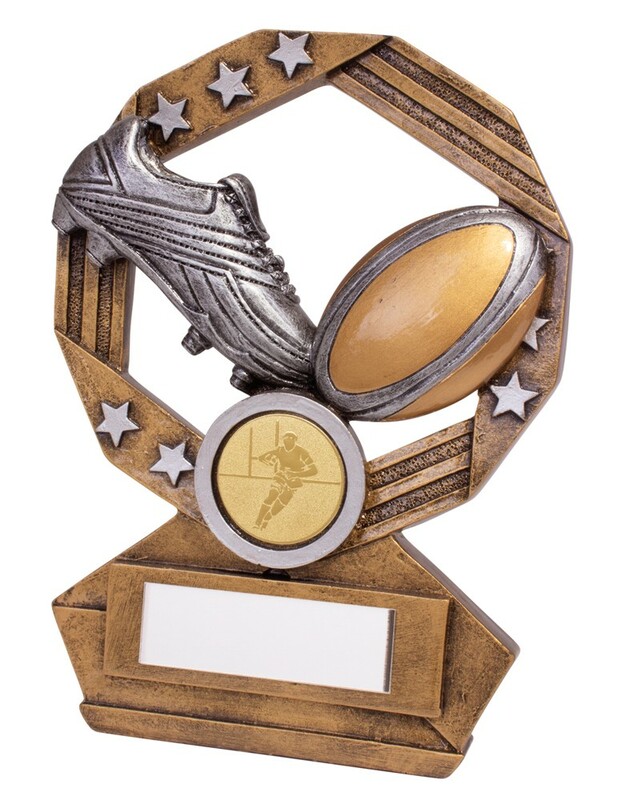 Enigma Resin Rugby Boot and Ball Trophies. Antique gold with silver detail. Available in 3 sizes, 120mm, 140mm and 155mm high. An impressive rugby trophy. Free engraved plate included and standard 1 inch centre. Customised centres available at an additional charge.